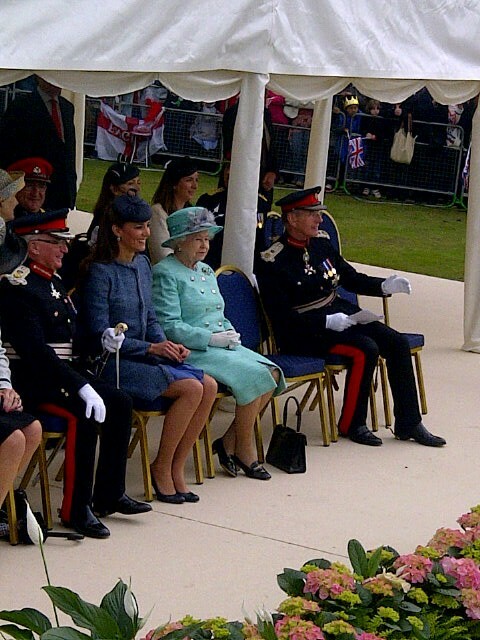 William and Kate joined the Queen this morning for the latest stage of her Diamond Jubilee Tour in Nottingham. The city is hosting the visit on behalf of Nottingham, Nottinghamshire, Derby City and Derbyshire. Unfortunately Prince Philip could not attend as planned. The 91 year old is at home today as he continues to recover from a bladder infection. 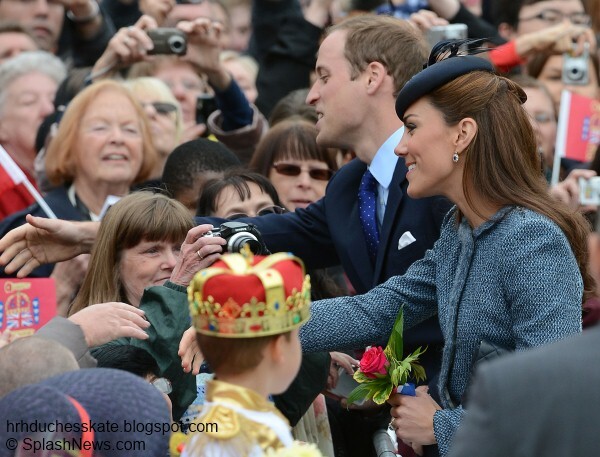 Her Majesty arrived at Nottingham Railway Station where she was met by William and Kate. We were fortunate enough to see the Queen and Kate on joint engagements recently and it was very special indeed to see William accompany the duo today. The couple drove up by car from Anglesey this morning so must be feeling rather tired. The journey is roughly three and a half hours. They are reportedly travelling straight back after the visit as William has to get back to work at RAF valley. 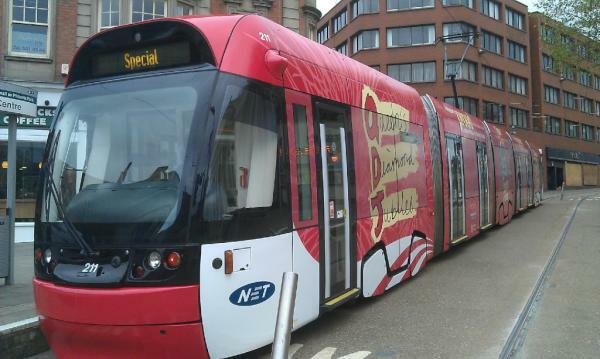 One of Nottingham's trams was specially wrapped in red Jubilee livery to celebrate the visit. 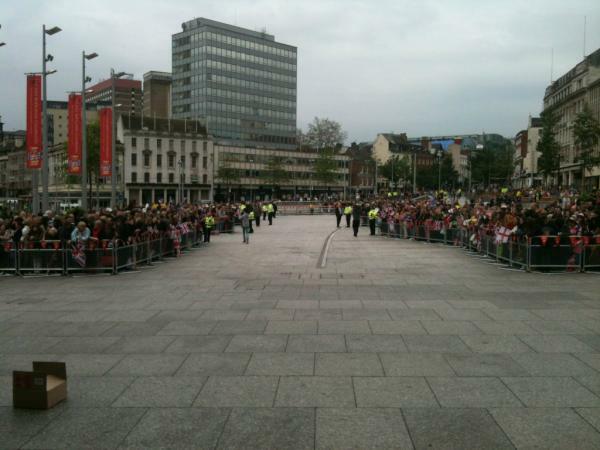 The trio then travelled to Old Market Square, where an estimated 20,000 people lined the streets to catch a glimpse of the Royals. 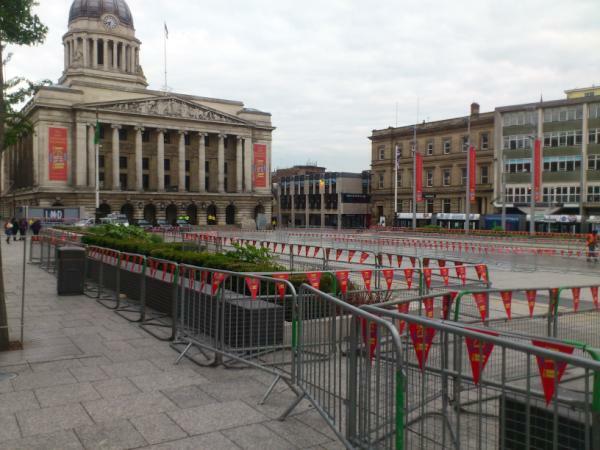 A look at Market Square before the crowds arrived. 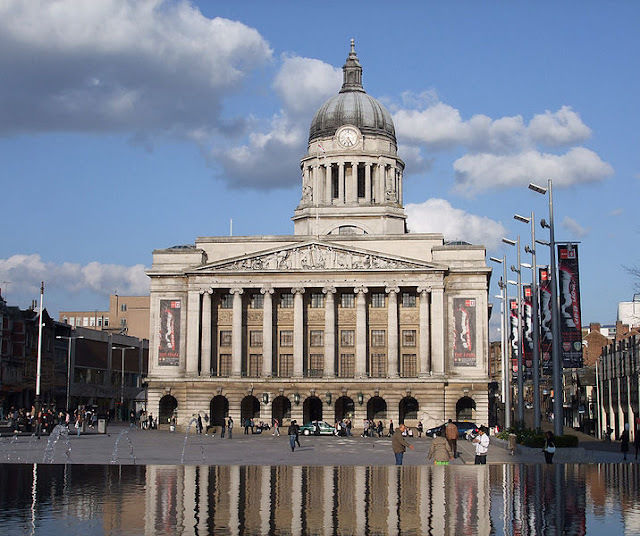 Nottingham is one of my favourite cities in the UK. Well worth a visit for fans of Robin! 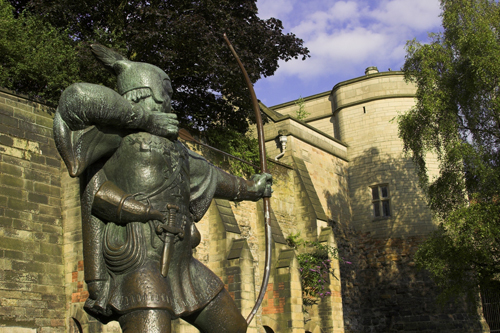 Let's take a look at the heroes statue beside Nottingham Caste. A closer look at Council House, the city hall of Nottingham. The iconic 200 feet high dome is described as the 'centrepiece of the skyline which presides magnificently over the Old Market Square'. 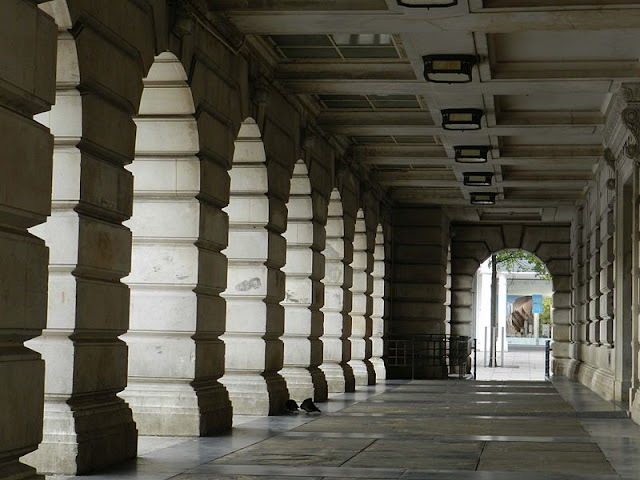 A look at the beautiful Entrance Loggia. Two stone art deco lions stand guard on either side of the entrance steps. There are various names attached to them, most commonly 'Menelaus and Agamemnon' and 'Leo and Oscar'. 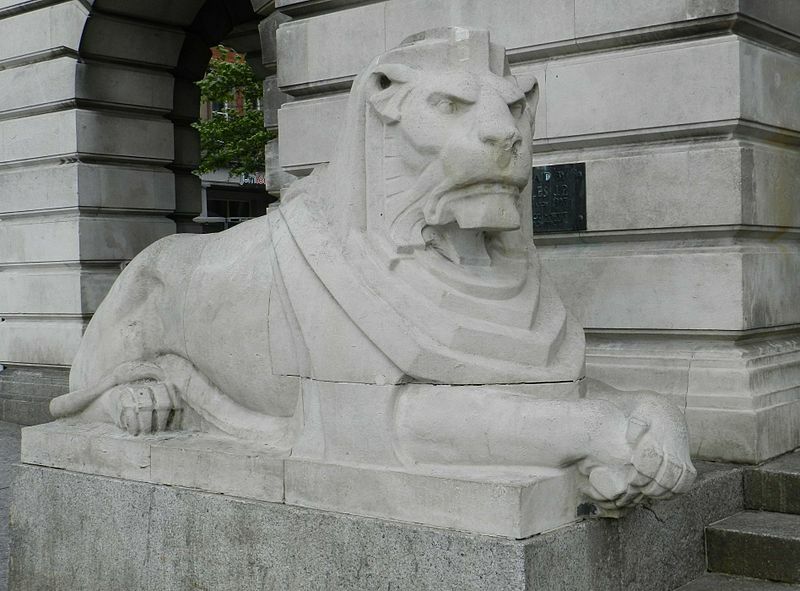 Meeting 'At the Lions' is something of a tradition in Nottingham. The architecture of the building is simply amazing as are the sculptures, something Kate would appreciate as a History of Art graduate. The Royals then visited Vernon Park in Basford. The picturesque neighbourhood park has recently undergone a £1 million refurbishment. The park has been granted Queen Elizabeth 2 Field Status, meaning it will be protected for future generations. 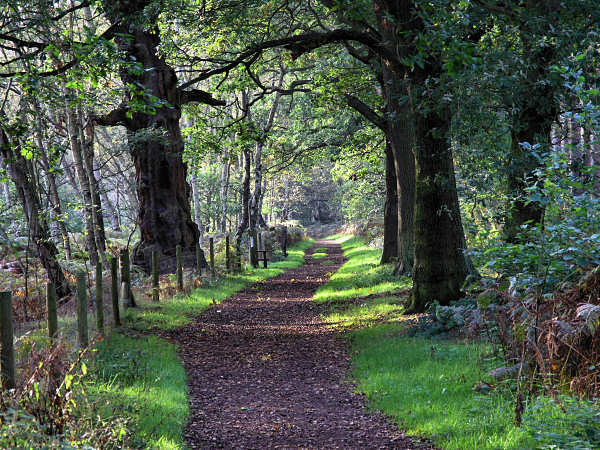 Prince William is a patron of Fields in Trust, a campaign to protect 2012 outdoor recreational spaces in communities. Her Majesty also unveiled a plaque and the Stanhope school choir sang a specially composed song. Kate and the Queen enjoyed chatting throughout the visit. Kate recycled the light blue M Missoni tweed coat dress she wore whilst accompanying the Queen and Camilla on a visit to Fortnum and Mason last March. Kate bought the knit bouclé, fringe trim, collarless piece at Bicester Village Outlet. It is from the A/W 2010 collection. A lot of thought would have gone into Kate's outfit today and she would have been very keen not to detract attention from Her Majesty especially during her Jubilee tour, hence choosing to recycle a piece she has worn during a previous engagement with HM. 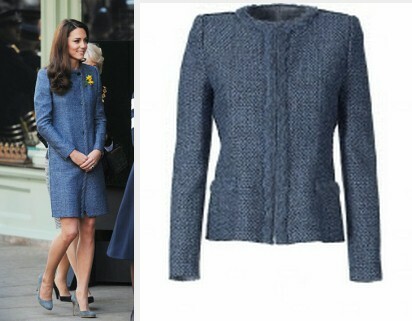 Kate wore her £50 Zara cornflower dress underneath. 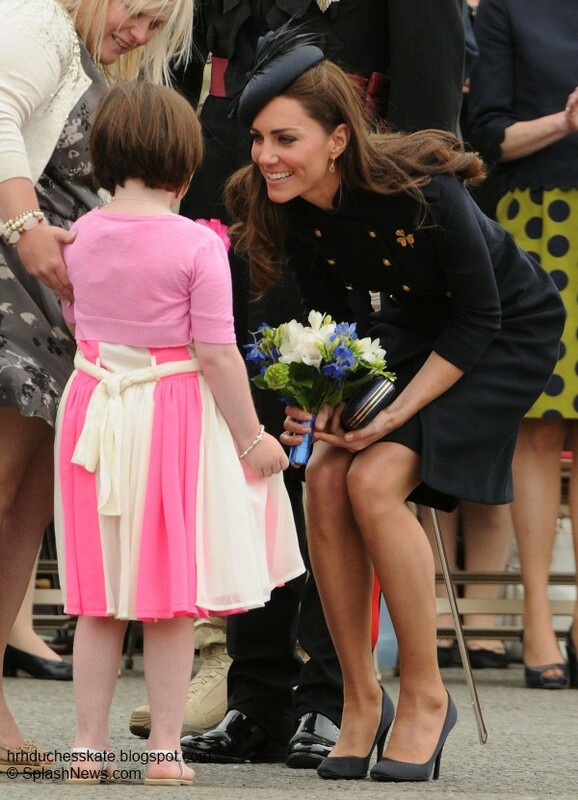 The Duchess wore her LK Bennett art shoes. 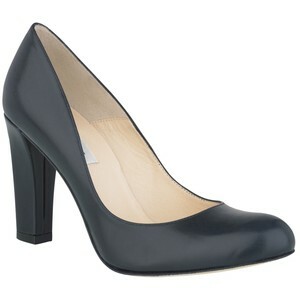 The navy high heel court shoe has a rounded toe. 'Classic quilted leather bag, taken from our timeless accessories collection. 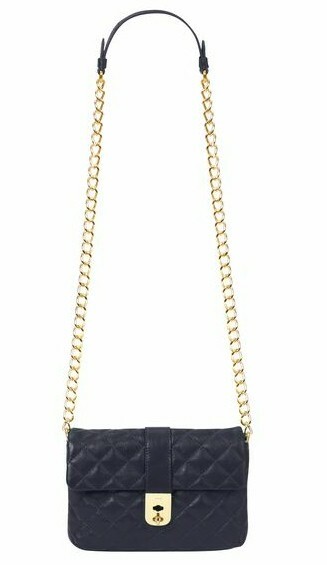 Featuring a gold metal chain strap, this compact leather strap has a rich cotton lining and branded hardware'. Kate accessorised with Princess Diana's blue diamond sapphire earrings. You can watch The Telegraph Video here and a video of William's speech here. There is also a lovely selection of videos at ITN Source. I'd like to finish coverage of today's event with one of my favourite photos from the walkabout. The couple interact so well with the public. Love their expressions! 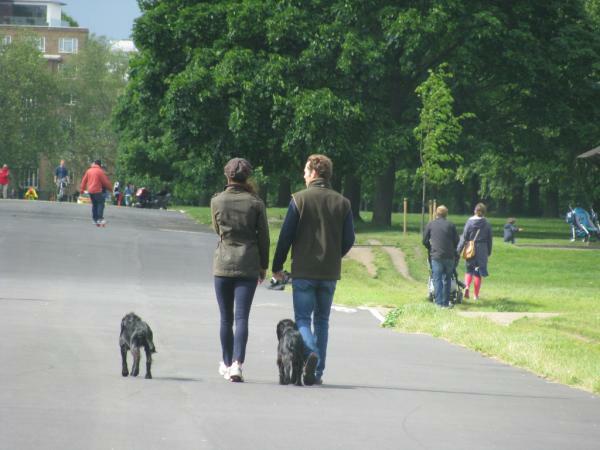 In other news, Jocelyn Laidlaw, the lady who photographed the Duchess walking Lupo in Kensington Gardens has kindly shared a video from the sighting. To view it please click here. Charlotte,your blog is always fantistic because you're always the first! 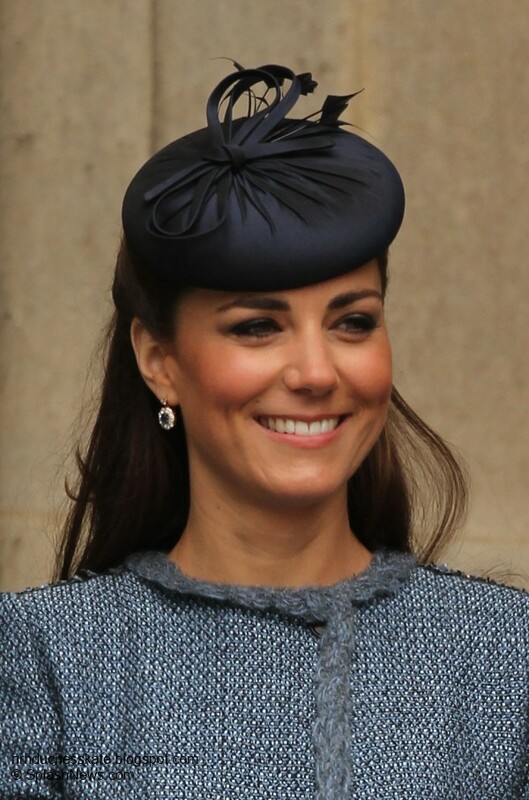 I noticed that Kate's face is rotund, if i can say this, .. do you agree or is it the photo? The Duchess looks beautiful as always... do you think she has that special pregnant glow? Great post, I love all the background information you include! Kate looks beautiful as always. I would have loved to have seen a new outfit, but it makes sense that she would not want to detract attention from the Queen. Just added some proper large photos from event! Thank you for all your lovely comments, I'm not from Nottingham but really enjoyed researching for the tidbits I added about the city. It's always interesting to look at Kate's fashion choices but also interesting to see where she's visiting and provide a little info on the place especially for those outside of the UK. It look's like her handbag is pushing against the dress to cause it to look a little open. Saw a footage of this visit on the Today show this morning. The body language between were not good and she looked downright unhappy in some clips. That said, her face looks slightly fuller.. baby on the way? They just had a 3 and half hour car ride. I would not be to happy either. And then have to put on a happy face to greet the public. I bet they even had to get up early to get ready so the could be at the train station to meet the Queen. And we do not know what goes on behind close doors with them. Thank you Charlotte for the quick update and thank you for posting information about cities, charities... it always makes your posts special! With all due respect to everyone who commented here, but it's getting repetitive comments that the body language of William and Kate are not good. William is always with a dull expression. But, talking about being the face of Kate fuller, I think both can be the angle of the photo or it may be that she has gained a little weight, but pregnancy, I do not think so. I agree with you Charlotte and Ana Laura. I would not look to happy either if I had to ride for that long and then be fresh faced to greet the public. And I bet they had to get up early to make it to the train station to meet the Queen. I think we must remember that when Kate joins the Queen, she comes second and must not outstage the Queen in clothing or behaviour. When William joins them, she comes third and the event immediately becomes more formal and it is not the time for romantic looks and gestures or playing around a bit. It is formal royal business in the presence of the Queen. I am also seriously wondering whether Kate is pregnant - she is definitely fuller! But they will not announce it until the pregnancy is past the first vulnerable phase and not at a time to outstage any Jubilee events. Fan from South Africa. I can't see well the detail the dress but are we sure it was the zara dress? I also love the fact she recycles and remixes, but for some reason this hat doesn't go with the coat IMHO...However it was a killer look with that Alexander McQueen Military coat dress! We're as sure as we can be without seeing the dress fully but I'm pretty positive it's the Zara. Pity we didn't see it fully as it's a beautiful dress! I think Will and Kate are fine. From the photos of the wedding of William's cousin they are still very much in love. I think they are aware that the pda they have affects the spotlight on the queen. I have noticed that Kate is wearing less makeup and appears to have a slightly fuller face. Pregnant. Woman are often told to avoid wearing lots of makeup due to chemicals. Jackie I agree with you. I feel that everything is ok with the Duchess & her Prince. There is a time & place to show there PDA and it is not with the Queen. They are offical business with the Queen. And I love the comment made above that just because there "body language" and that the Duchess did not look happy, that there is something wrong in the marriage. They just had a 3 horu car ride, I would not look happy either. So I would suggest that we not even go there. We do not know what goes on behind close doors. And Charlotte thanks for the great info in the beautiful Duchess & her Prince. Love the outfit - coat with the darker accessories looks great! Good choce for an event that involved a long car ride - many things would look wrinkled on arrival but this doesn't. Lovely outfit - coat looks great with the darker accessories. Good choice for a long car ride too, as many things would look wrinked on arrival, but not this. The coat not my favorite bur it looks great on Kate. Good color for her. 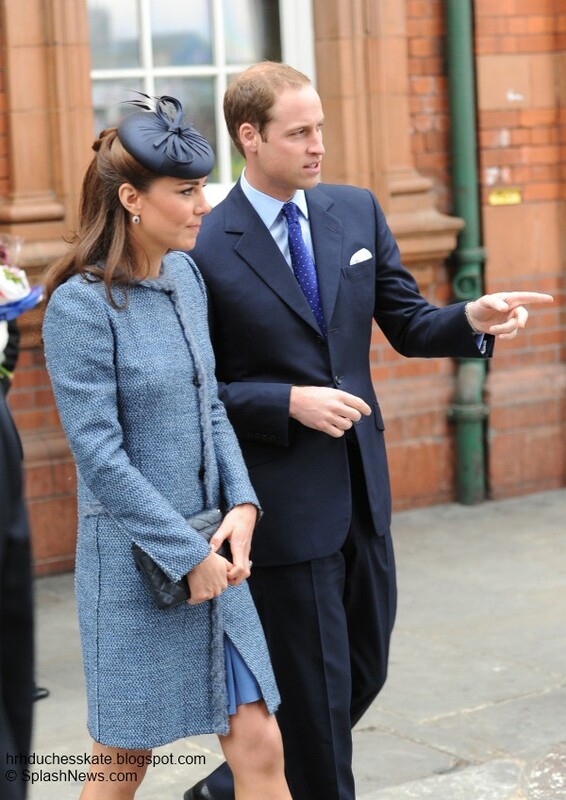 William often seems tense on major occasions don''t think it's anything to do with Kate. He seems to relate very well to people on a one to one basis. Think he's a little reserved, but will get used to public events in time. Hard to out-sparkle his wife and brother. Lovely! It was wonderful to see Prince William as well. Mail Online has a lot of comparison photos of Kate wearing this outfit earlier and wearing the grey coat at the garter ceremony and at the wedding. I have to say her face does look a lot fuller now in multiple photos! Not in the lace dress through, and that was barely over a week ago. So who knows. Someone did point out a pregnancy would affect East Asia tour. Tours can be changed but this tour is linked to Jubilee. Still a baby would surely be more important. With the lace dress the belt was modified(the fermeture is a bit strange and the faux waist seem weird) and I think that because the dress is haute couture that's way her weight seem unchanged and for the red dress she was a bit tight in the waist.Maybe that explains the Sarah Burton made wardrobe for the jubilee. 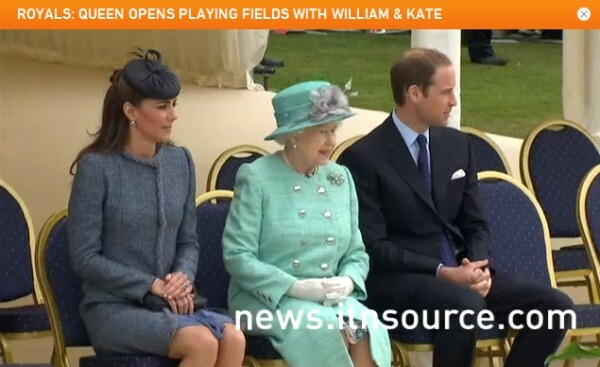 How nice to see the Queen together with William and Kate! As for Kate’s outfit, I have to say that I wasn’t very fond of the Missoni coat on its first appearance and this hasn’t changed. The colour is lovely, but there is something that looks a little bit strange to me, though I can’t say exactly what it is – maybe it’s because the coat looks rather bulky, if that makes any sense. But I think today was another occasion for Kate to show that she can dress appropriately for an event, which she did. She didn’t outshine the Queen and recycled all of her pieces. I love to see Kate in a new outfit, but I also like to see how she mixes items she has previously worn. I think she will do more recycling in the future and it will be interesting to see, I can say for myself that I’m really bad at mixing older items from my wardrobe so maybe I can get some inspiration :). But even though the Missoni coat isn’t my favourite, I still think Kate looked lovely and appropriate today. I love the Zara dress, and the hat, shoes and bag are well assorted (though she seems to wear the hat differently to its first appearance, today it’s more in the centre of her head whereas the first time it was more on the side which I preferred). I liked her hair half up too, from what I can see she chose a different style again which looks lovely. Thank you so much for your wonderful and thorough coverage. I just love the way Kate is dressed today. i HATED when i first got married and people were CONSTANTLY saying i was pregnant... that said- i'm pregnant for the first time now and i see some of the changes in Kate that i saw in myself (her face has changed a bit in the past couple of weeks). if you look at some pictures from before they were married, her face was much fuller. of course, now she's very slender and even a few pounds would cause changes. maybe she is just enjoying new recipes with William at home. of course, i'll be very excited if they announce a pregnancy, but i'm trying to allow them to announce something (in their own time) BEFORE i get all worked up and i wish the magazines would, too. also, i LOVE her wardrobe remixes. it's smart to be sensitive to the current economic climate and it sets a great example for other women. "If Kate can wear the same thing to 2 events, i can too!!" 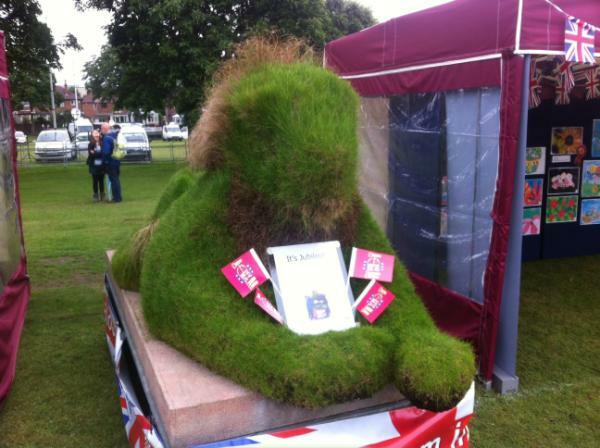 I'm pleased to say that I was at Vernon Park today & had the opportunity to see Kate at close quarters. She is a gorgeous looking girl!! To say she does her own make-up it looked fabulous presumably many hours after it was first applied. Great post your blog is fantastic. I hate kate's coat . I love her dress and hat though. 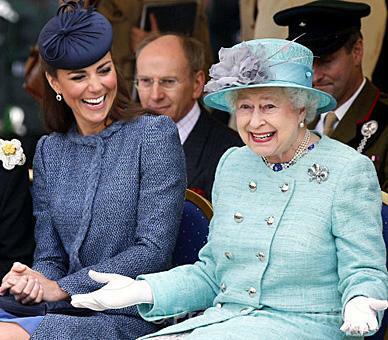 I love the pic of Kate laughing with the Queen!! How sweet is that. & Kate looks stunning as always. I love your blog. I thought today was a cute event. The interaction between Will and Kate during the javelin throw was especially cute. I'm not sure why people saying there was tension. I thought everyone looked happy the whole day. I have nothing to back this up with, but... I looked at her and I got this distinct feeling that she is pregnant. Her face, her pose for some reason... Hopefully, my instincts are telling the truth! I got the impression at this video from ITN, that the minute 3:17, William asked Kate if she was ok, but I did not understand exactly what she said. (I may be mistaken about the fact that William asked if Kate was OK, because I'm not very good at lip reading (laughs)). I also liked the end of the video when they are talking to some children and soon after William walked out straight ahead, but soon he realizes the absence of Kate and looks back as if he was looking for her. These images are so cutes. Thank you for taking the time to comment. I'm delighted you all enjoyed the background information :) Looking forward to Trooping the Colour on Saturday, another balcony appearance! Charlotte, I am looking forward to this weekend too. Is William riding in it again this year? I have not read anything about it. I like all the postive comments today..lol I loved the action between William and his Duchess. There is one picture out there where he has the javlin in his hand and she has her hand on his, soooo cute. Just loved seeing the action between the Queen and the Duchess. 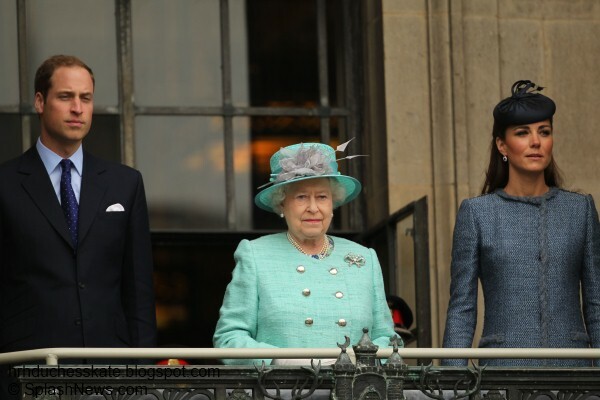 It sure seems that the Queen really enjoy's being with the Duchess. There is another picture out there showing the Duchess bending down and kissing the Queen. It is a priceless picture. You never see anyone kissing the Queen in public. Well Charles kissed her hand during the concert. I did send it to you in an e mail. So hopefully you will get to see it. It goes along with a picture before the kissing one, where the Duchess curesty to the Queen and then the Duchess kisses the Queen. Hope you enjoy the picture. And I don't know if you can post it to the blog. What is your take on the Duchess looking like she has put on a few pounds and is looking a little fuller in the face. She is really looking good. I did look at pictures from the begining of the jubilee and she does to me look like she is a little fuller in the face and put on a few pounds. Thank you for this great blog. And I look forward to this weekend. And hopefully we will see the Duchess at the polo match too. Charlotte, if you wouldn't mind reposting that picture, I'd love to see it! I am very curious about the pictures you described above! Could you, please, post the link here so can see them? She looks like an old, old lady. Those awful shoes and shapeless coat... I like the color of the coat and think she looked much better the 1st time with that yellow flower pin, as yellow and blue create such a lovely contrast. I am, however, very pleased that she re-wore this coat. I posted an earlier message, but dont' know if it went through-my apologies if this does end up being a double post. The ITN videos are great! The Duchess was amazing in greeting the Queen-there was such affection in her expression as she curtsied and then kissed HM. A curtsy and a kiss-there's a ring to it! GREAT NEWS!! KATE'S FABULOUS SOLD OUT EVERYWHERE BARBOUR DEFENCE JACKET IS NOW AVAILABLE ON EBAY!!! Just a thought: mabye Kate gained a few pounds so she has an easier time getting pregnant? Wow the beautiful Duchess has a busy few days coming up. Which means more pictures of her and her Prince. Charlotte do you have any idea if William will attend the Duchess' engagements with her on the 17th? Just thought he might since she is with him at his. It would be nice to see him in a supporting role. And I bet once they are finsihed with all the engagements on the 16, 17 & 18th they will go under the radar until the Oylmpics. The Ducehss will need a rest. Charlotte & Ana B. I found the picture on face book. I beleive it was under "William & Catherine" and something else. It also is on a video but I don't have the link. Next time I am on face book I will get both the link and the correct face book page. Sorry I don't have it at my finger tips right now. But I will get it for you. To see the photo's of the Duchess curtsey and kissing the Queen you need to go to face book page of "William and Catherine, The Duke and Duchess of Cambridge. Once your on the page go to photo's and click on photo's, then to date June 13th. There is alot of great pictures on this page. I sure hope you all can see them, they are great. Thank you so much for your lovely blog. Keep up the fantastic job! Thank you for the additional links to the great pictures. This is something you never see. It was just very special to see the beautiful Duchess curtsy and then giving the Queen a kiss. Just priceless. She really needs to have her clothes tailored and fitted properly.